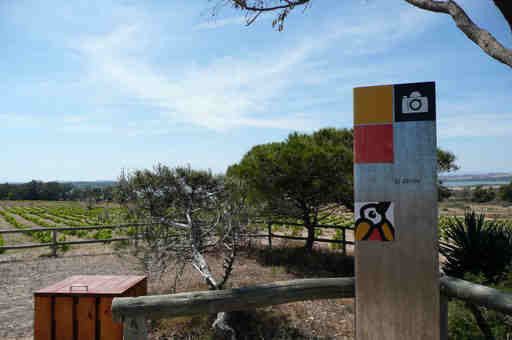 The La Mata Natural Park. Valencia Region South of Alicante Near Torrevieja. 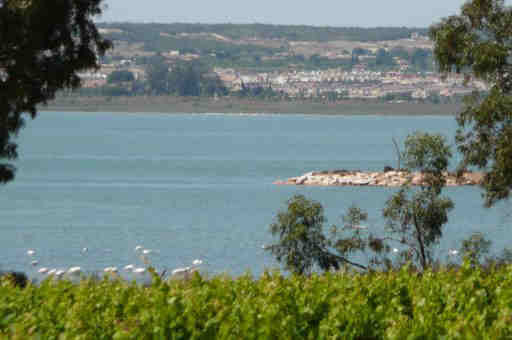 The Lagoons of Mata and Torrevieja. This protected open space is located near the town of Torrevieja, in the south of Alicante province. The Nature Reserve’s fauna is distinguished by the presence of invertebrates, such as the crustacean Artemia salina. As for vertebrates, the bird life is worthy of note, especially the flamingo. Information for visits:Unrestricted access to the Nature Park. Environmental information:This nature reserve is extremely interesting due to its botanical diversity, comprising shrub and tree vegetation typical of the salt marshes. Other species include the salicornia, tamarix gallica and rushes. You might be surprised to learn that in the Valencia region,famous for its building boom that stretches along the coast and spreads inland, there are 23 Natural Parks. Located in a variety of habitats including: Inland (which has the most) Coastal Mountain Regions, Wetlands, and even one Mediterranean Riparian Forest plus an Island. These `parcs naturals´ are gems in a land where perhaps too much concrete has been poured during recent years. 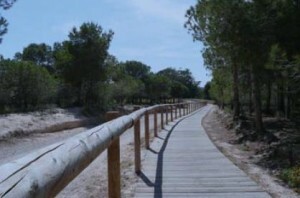 La Mata-Torrevieja park, one of the Wetland variety, nestles into an area of 3,700 hectares (1 hectare = 10,000 m2) between the expanding N332 motorway and the surrounding urbanisations. The two lagoons cover around 60% and originally it was planned to use them for fishing when the Crown gave them to Orihuela in 1321. However the high salinity of the water meant this idea had to be abandoned. Ownership reverted to the state in 1759 following which tests were made as to the viability of salt extraction, which proved successful and so salt extraction began. Seawater enters the La Mata lake and is pre-heated by the sun before it transfers into the Torrevieja lagoon where the salt is harvested. The characteristic pink colour of the water is caused by its mineral content and salinity. The park was listed in 1989 by RAMSAR (So called because it was agreed in Ramsar, Iran) the worldwide convention for protected wetland areas. The newly refurbished visitor centre is open daily, except Monday, and has informative displays with interesting guidebooks. So it is worth calling in before you set off to explore the park. It is best to follow the signed yellow route for walkers which will give you a good idea of the main features including the bird watching hides, beautiful shady picnic area with tables and also the best views of the park. There is also a red route for bikers. Special bird life found in the park is of international interest and features over 100 species including: flamingo, eared grebes, Montagu’s harrier, and avocet. A conservation project for the rare Audouin’s gull is one of the park’s priorities. This area along with El Hondo, near Elche and the Santa Pola salt lakes forms an important habitat for wintering and nesting birds as well as those seeking refuge in the hunting season. The vast lagoons provide ideal feeding grounds from invertebrates and mosquito larvae. Naturally what you see depends upon the time of year you visit, but you are sure to see something around the waters edge. For those interested in flora there is one of the most important stocks of wild orchids in the Valencian province. The salinity limits the growth of aquatic vegetation but the reed and rush beds thrive in the wet salt marsh environment. Also you will find hill vegetation including Mediterranean kermes oak brushland, Aleppo pine, thyme and mat-weed growing in abundance. This glorious park is a wildlife haven where you can stroll along the gentle paths, sandy in places, thinking that you are miles from any civilisation, enjoying the views and occasionally stopping to take a photo or a look through your binoculars. There are no steep ascents, which is probably another attraction for many people. Location: Accessed via roundabout on N332 La Mata – Torrevieja. Bus: Costa Azul Alicante – Cartagena service. Visitors Centre: Open daily except Monday. Paths: Fairly flat. Some sandy in dry weather. 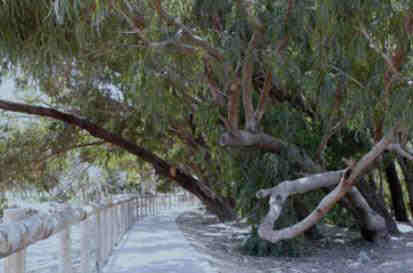 Disabled Access: Yes – along the decked path. Please follow: Rules for preserving the Reserve. You are in a protected wildlife area with nesting birds. Keep dogs on a lead. To contribute to its preservation visitors should attempt to come in small groups, make as little noise as possible, not leave the paths marked out, respect animals and plants, not light fires, respect forestry rules, and leave no rubbish, waste or tracks of your presence along the route. Asn. De las Rutas y Caminos de la Sal 690 771 036 (English) for more information. Local Hotels can be found by clicking above. Ideal for the Natural Park. 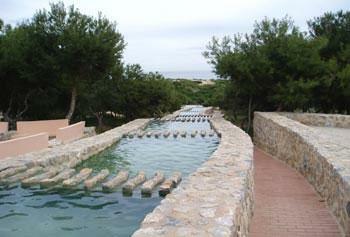 An introduction to the La Mata Natural Parkland in the South Costa Blanca Spain. 2009: RECORD OF AQUATIC BREEDING BIRDS. Over 28,000pairs of waterfowl have been nesting in wetlands in theValencia region in the breeding season of 2009. According to the general manager of the Natural Environment Management Maria Angeles Centeno, representing the greatest figure in the 26-year history of these censuses. Was conducted in 20 localities, most coastal marshes, and protects 43 species of waterfowl. This census is coordinated by the Department of Biodiversity and collaborate ornithologists Territorial Services of the Department of Environment, Center Fauna Recovery of Wildlife and the Spanish Ornithological Society (SEO). 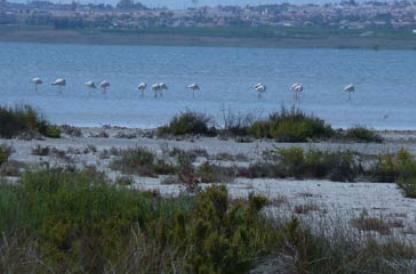 Natural Park L’Albufera is the point which has seen an increased focus on number and species. In 2009 have been reprinted 14,093 couples, including highlights of 2187, or mallard 1920 of sandwich tern, 2,156 of cattle egret, squacco 137, considered at risk of extinction, 1013 of common terns and 275 of Gull Audouin , which has tripled its population in the park this year. In the Mata-Torrevieja 11,100 pairs of waterfowl have bred in 2009. As well as a most remarkable 2826 breeding pairs of Audouin’s gull. The Hondo has a total of 4338 nesting pairs, features a reproduction of 11 marbled tealbald Malvasia and 12, both in danger of extinction. For its part, the Salinas de Santa Pola, with 3051 breeding pairs, 35 pairs were nesting squacco Malvasia and 15 bald. In the Marjal dels Moros 947 couples have been cloned, including 2 of Malvasia bald, 50 and 60, Common Tern tern, the first in danger of extinction and the other two species, vulnerable. In the Marjal de Almenara, with 823 breeding pairs, including 2 coots and horned canastera 143, endangered and vulnerable respectively. In the Parque Natural del Prat de Cabanes-Torreblanca 338 couples have been cloned, among which 11 canastera, 19 Montagu’s harrier in both Vulnerable Endangered Species Valenciano catalog, and 2 Marsh Harrier, in danger of extinction. Several species have reached record numbers, the mallard with more than 3,000 couples, with 1037 Curroc pairs of Audouin’s gull, which has spent 7 years of nest for the first time to add 3106 pairs, with 23 pairs or morito the Gull 180 pairs. 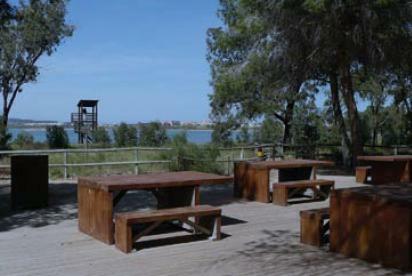 Examples of a rare wild orchid unique to the Valencian Community have been found in the Natural Parks of the Salt lakes in Torrevieja and La Mata. It is a mutation of orchuis collina which is normally purple. The examples in the Lagunas area are white instead. This is a recent find by staff of the Ministry of the Environment but represents the largest grouping of this very beautiful plant in the Valencian community. Unlike other examples found in the region the number of specimens in the parks makes the group a large population and because of this the ministry of the Environment has declared the 19 hectares of the park to be a micro-reserve. The importance of this micro-reserve, only one of three that have been declared, is that it affords an extra degree of protection to the plant which together with its location in the park, gets added to the Valencian catalogue of protected and endangered species. Spain Info, Natural Park. San Francisco De Asis, Urb Marina, San Fulgencio, 03177, Alicante, Spain.